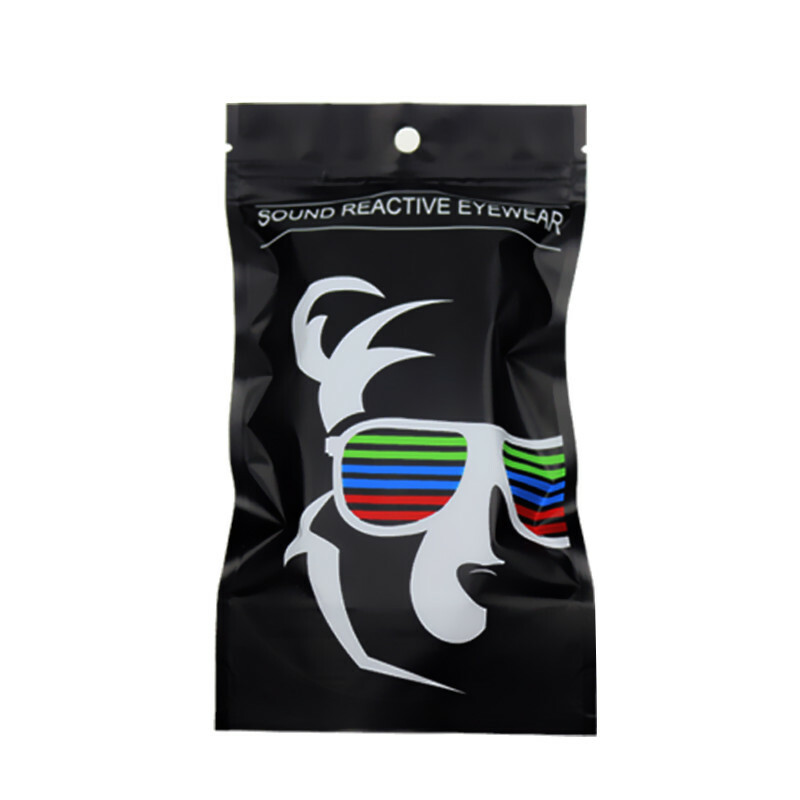 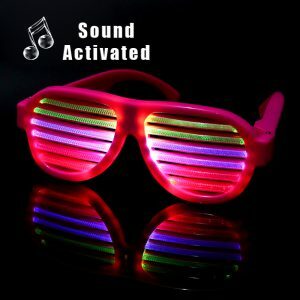 LED glasses voice activated is perfect for concerts, party, night clubs, music festivals, holiday parades. 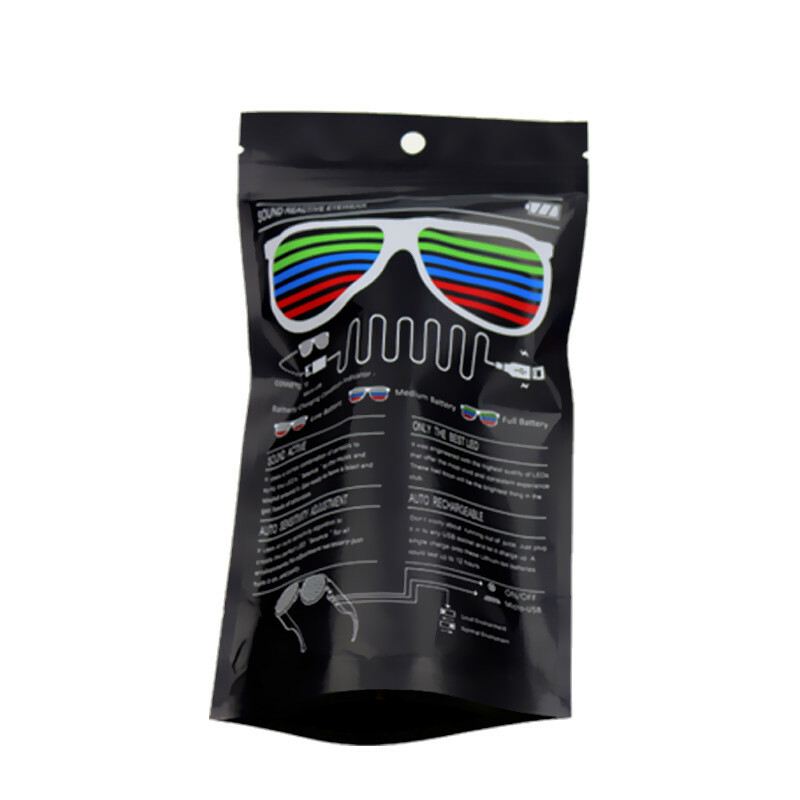 Also great as a promotional gift! 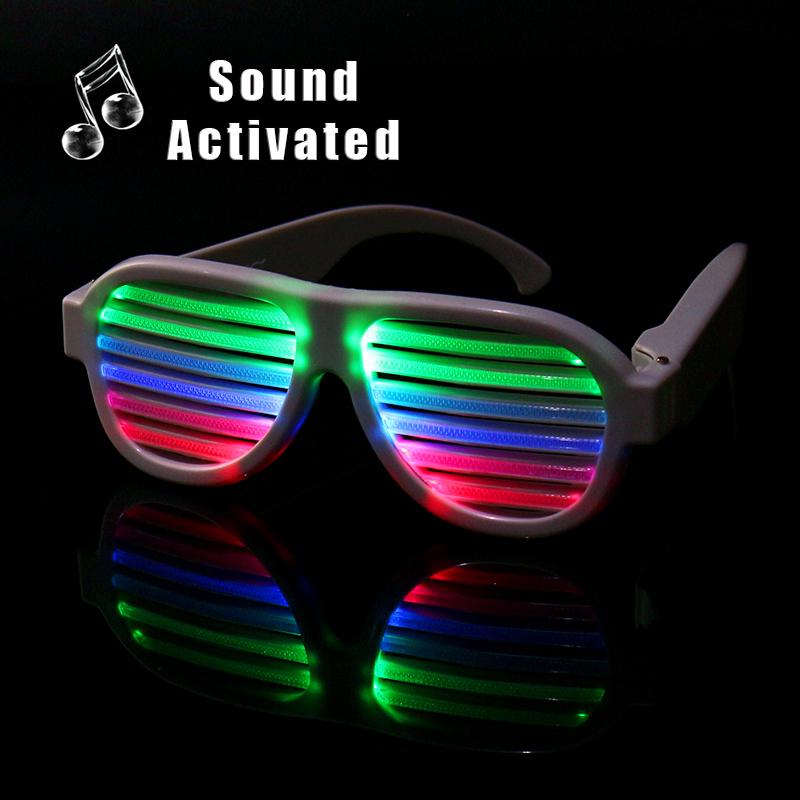 The glasses automatically adjust the audio sensor according to the volume of the surrounding environment. 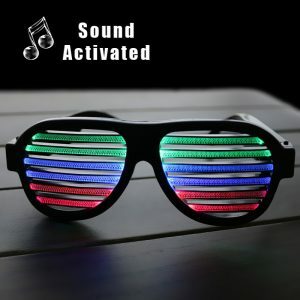 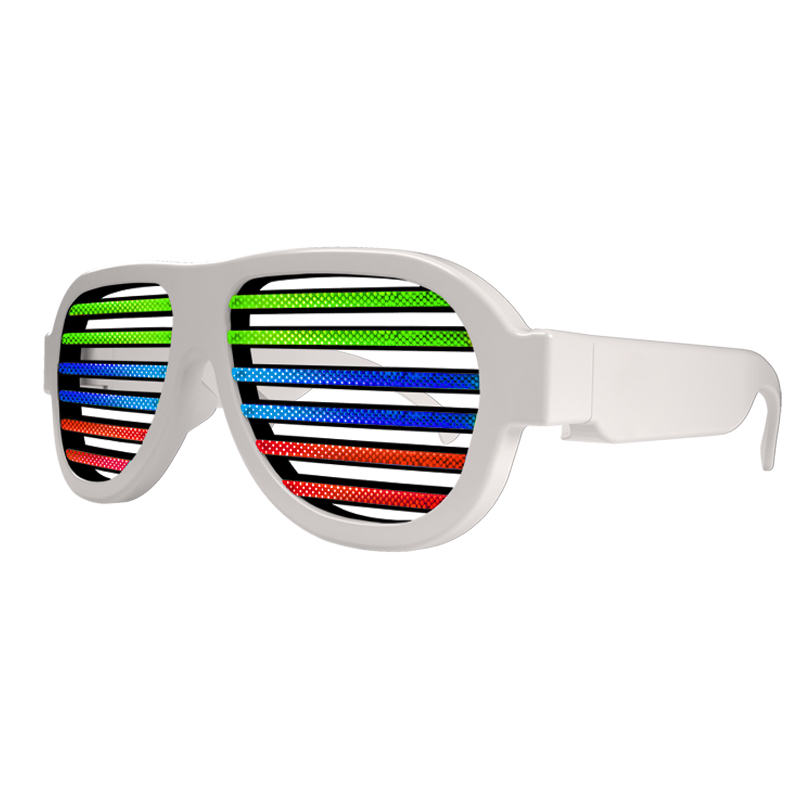 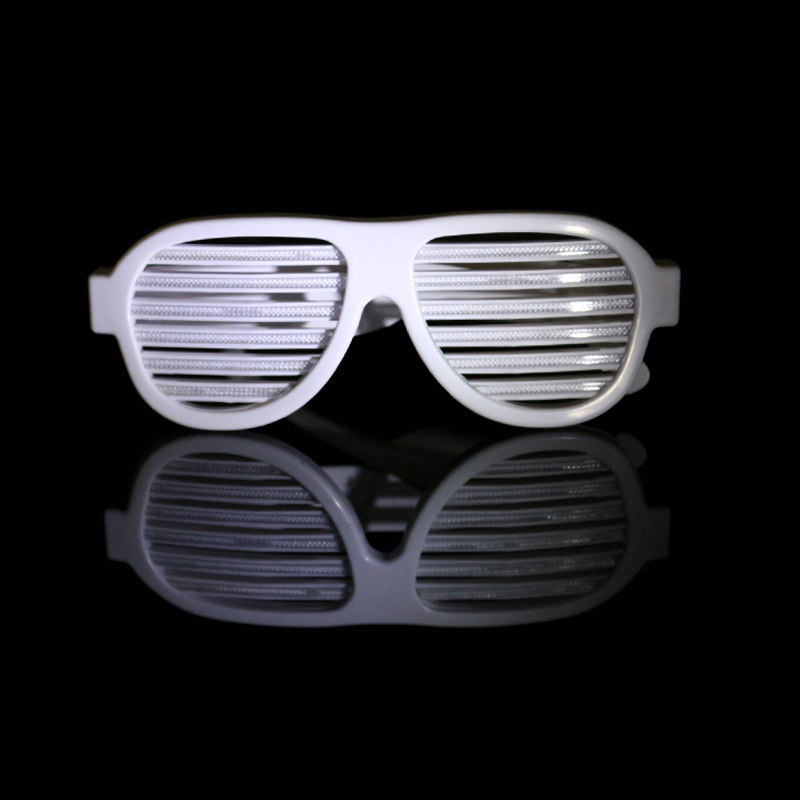 This LED Voice Activated Shutter Sunglasses could be printed with your LOGO on the arms.